Malaysia holds a special place in my heart when it comes to traveling as this was the first foreign country that I’ve been to. I can still remember the amazement that I felt when I had a glimpse of how this country looks like; seeing the aerial view of the valley from the aircraft as we approached the terminal ground, everything feels so amazing. However, that view… it’s just a piece of what more surprises that this country has. What really surprised me and still put me in awe when visiting this country is when seeing the country’s towering columns. These towers have been sought after attractions in the country because of its soaring appeal. It was past 4:00 AM when the bus from Singapore arrived in Berjaya Times Square. I will be meeting Paula in her hotel in Bukit Bintang which is just a walk from my location but I forgot to have a screenshot of a map containing the direction to get there; and so I’ve decided to text her and waited for a couple of minutes. I was so hesitant to take a cab that they might just take me around the city. I went to the nearby convenience store to check if there are available city map but there’s none. Because I don’t want to wait any longer, I had used my instinct and recalled the direction from the online map the time that I was searching for her hotel prior to this trip. So facing Berjaya Times Square, I walked to the left side of the street. I then crossed the street to my left when I reached an intersection. Terrified with all sort of imaginations running in my mind, I walked quickly that I couldn’t feel that I’m carrying 20 kilos of baggages. Ten minutes after, I saw a familiar intersection… it’s Bukit Bintang. I crossed the street towards the fast food restaurant where the hotel is said to be nearby. I was looking for someone to ask for directions when suddenly an old (but not so old) lady approached me. I asked her where the guesthouse is and so she pointed it then she blurted if I would like to see young beautiful ladies. Oh well, I civilly refused. I was expecting that Paula was still asleep so I went to the guesthouse reception area and asked the staff in charge to accompany me to my friend’s room, and so the staff did. When Paula opened the room for us, I felt so reunited. I was able to get to her place out of harm’s way. 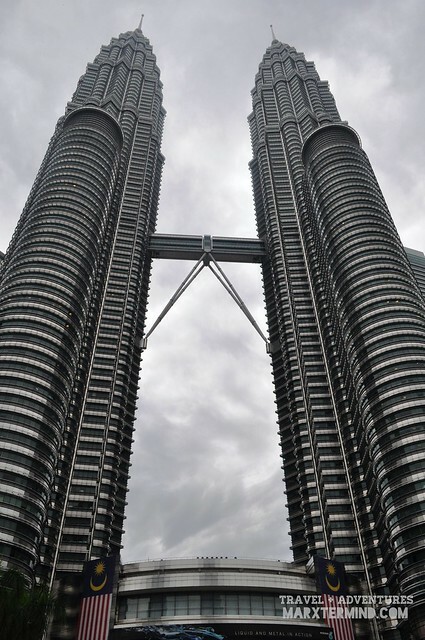 We started our jaunt in Kuala Lumpur, the federal capital of Malaysia, at around 9:00 AM. 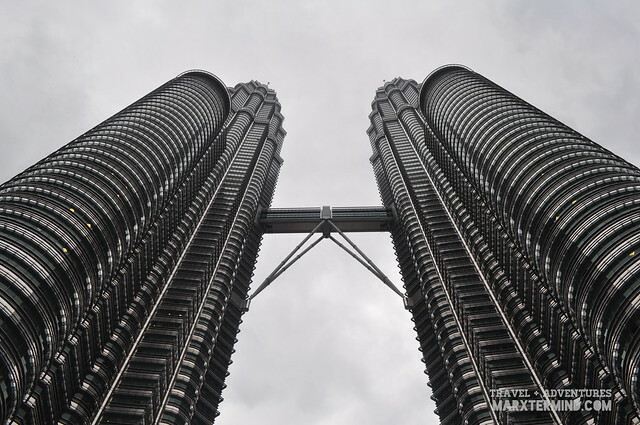 I didn’t prepare any detailed itinerary for this short excursion anymore but only noted what attractions to visit, Petronas Towers and KL Tower. From the intersection of Bukit Bintang, me and Paula walked for about 15 minutes to get to the famous attraction. It was night time when I had a first close encounter with the towers, thus when I had my next visit to the towers I was so excited on how it looks like up close under a bright day. The park surrounding the tower looks like to be one of the favourite spots for fitness buffs. You can see people jogging around and doing some of their exercise routines. It is also a favourite place to hang around – to capture best of the moment with families and friends with the towers in the backdrop. Seeing the metallic elegance of the tower put me in amusement once more. Seeing it in a broad daylight is a different admiration. It still looks lovely as it is that put us in a selfie-taking-pips. If we weren’t just have a flight a catch in the afternoon we could have stayed in the area longer but after an hour or so of being a photoholic with the towers, we have decided to move on and go to our next destination. 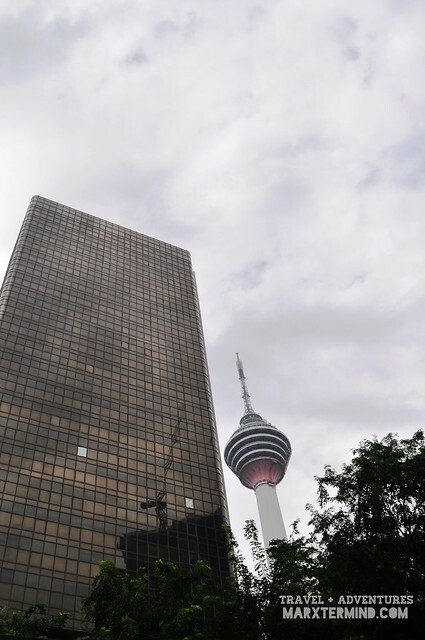 KL Tower is part of my itinerary when I had visited this country the first time but due to lack of time, we weren’t able to see it up close and so when I had the chance to see the city again, I included the tower to be part of my jaunt. KL Tower is a tower located in Kuala Lumpur which is used for communication purposes. 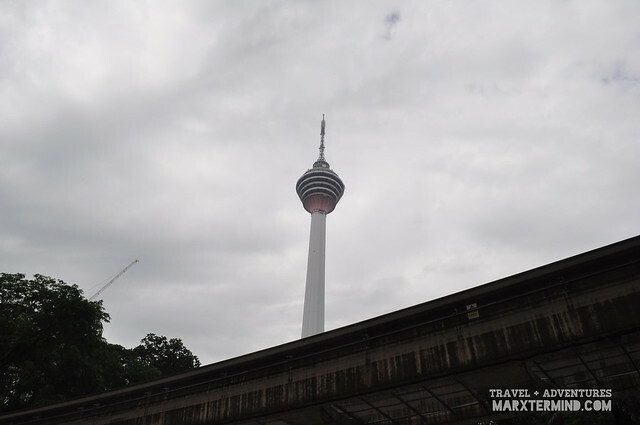 The tower is the highest viewpoint in Kuala Lumpur which is open to the public. 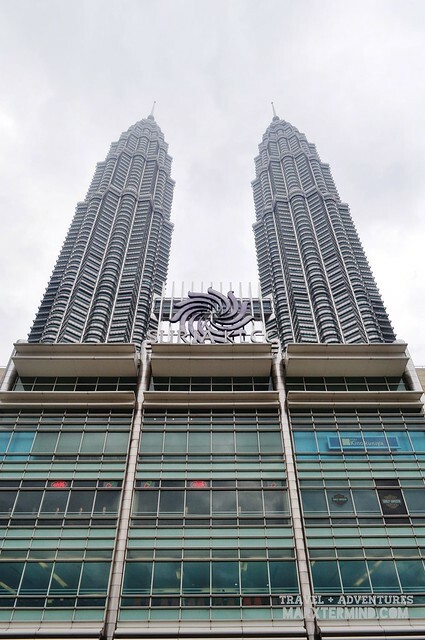 From its arch-rival Petronas Towers, we walked the street towards the area where the KL Tower is. We attempted to follow the signs and directions placed on the street however, we failed to reach the area. We could see the tower from our location but we couldn’t understand which street to follow. This was the closest point that I was able to see the tower. Maybe next time that I will be visiting the city, I can get to see it up close and see the view of the city from the tower’s viewing point. We went back to our guesthouse. We then picked up our things, checked out from the guesthouse and rode the monorail train going to the KL Sentral. From KL Sentral, we then rode a bus bound to LCCT. The bus trip took an hour and a half to reach the low cost terminal. Upon reaching the terminal, we went to our airline’s counter and had ourselves checked in to our flight. We had mixed emotions upon reaching our boarding gate. We were so nervous and afraid as we weren’t sure what will going to happen to the next part of our journey. But setting aside this agony, we were so excited and looking forward to far-out memories and incredible journey that we will be experiencing from this point onwards.